The Importance of STEM in our Classrooms and How You Can Help! 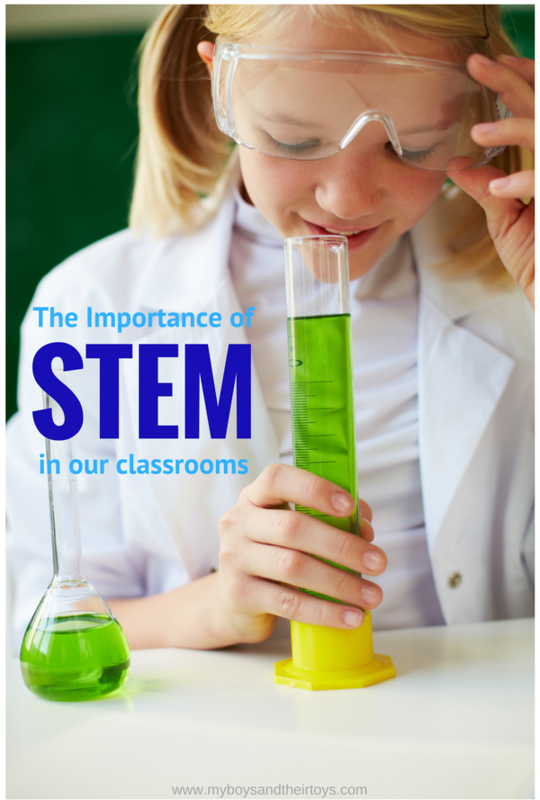 The Importance of STEM in our Classrooms & How You Can Help! Back to school time brings a fresh start, new ideas, and great opportunities for both teachers and students. Often times, students favorite subjects include science projects like making a volcano erupt, or creating a robot. With the growing national interest in STEM (science, technology, engineering, and math) projects I am excited to team up with the Orkin Start with Science Initiative. The Start with Science program focuses on the country’s need to increase science, technology, engineering, and math activities in the classroom, and provides teachers a way to fund their innovative ideas through developing a Donors Choose project. As an elementary administrator, I see firsthand how donations can truly make a difference within our school system. Luckily, with companies like Orkin and funding sites like DonorsChoose.org, teachers can create amazing projects and get them funded. With the help of Orkin’s Start with Science initiative I was able to donate $250 to teachers who are planning a STEM based project in their classroom. There were so many great projects to fund, so I decided to fund a couple of them. Every little bit helps right? One of the teachers I helped was Mrs. Knapp who requested 5 tablets for her 2nd grade students. With the help of my donation her project became fully funded! I know her students will be very excited for the added technology that’s joining their classroom. My name is [Mrs] Knapp, I am a friend of [one of your teachers]. She mentioned that you are her AP and that you helped make my project happen. I would like to extend my sincere thanks to you and your wife for helping make my donors choose tablet project possible. Having these tools in the classroom will surely prove to be beneficial to both academic as well as technology based learning. I am excited to see the look on my students faces when they get their hands on these tablets. I know they will be thankful to you, even if they don’t know who you are. They are so appreciative of anyone who plays a role in their education. Another teacher I was able to help fund was Mrs. Sadler who works at a high poverty school in our county. She wanted to add STEM Challenge Kits to help with her students learning gains. She’s just a few dollars shy of getting her project fully funded now! I know both of these donations will bring a smile to the teachers and students faces, and I’m really glad I was able to help out. Did you know? 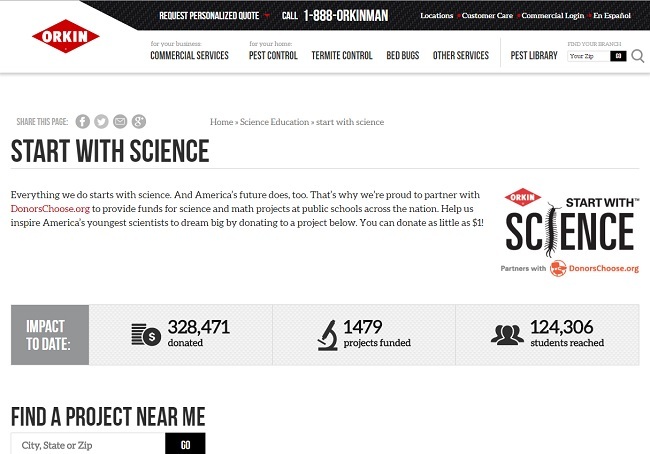 Orkin has donated over $325,000 to fund over 1,400 projects for more than 123,000 public school students with their Start with Science initiative already! Now you have the opportunity to donate to a worthy teacher by entering into the below giveaway. Even if you don’t win, I want to encourage you to check out Orkin’s Start with Science initiative and look at all of the great things our countries teachers are doing for our children. Enter below for your chance to win a $50 gift code to donorschoose.org! Are you ready to invest in our country’s future?